“The right tool for the job.” It’s a phrase that is hard to truly appreciate until you have found yourself banging you head against a wall after hours of trying to make something work with the wrong tool without success. I recently had the pleasure of being able to say this phrase about a little black box known as the PowerBRICK. But first, let’s start with the problem it solved. I recently began a little project to create a contraption that could measure and log voltage data from an operating robot platform for later examination. The board I am choosing to work with for this has analog pins that are only tolerant of signals up to 1.8V, which is an obvious problem if I want to measure pretty much anything on a robot. So to solve this, I decided to incorporate some voltage divider circuits to allow specific higher voltage ranges to be measured, while still only presenting the pin with voltages around 1.8V. 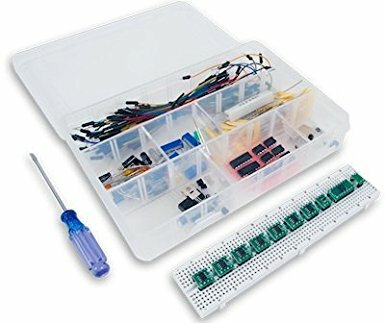 After some brief white board number crunching with resistor values, I came up with various sets of components that would provide me a viable solution. 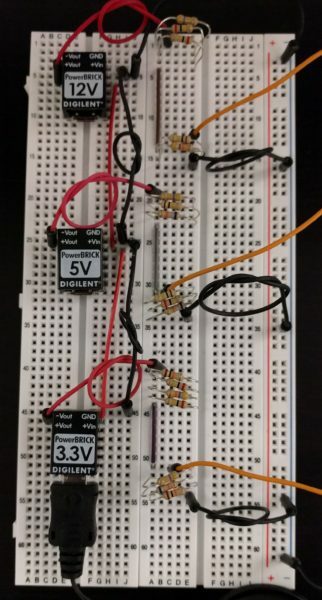 What works on paper does not always work in practice, so I needed a way to easily test my circuits with real voltage values to validate my calculations. 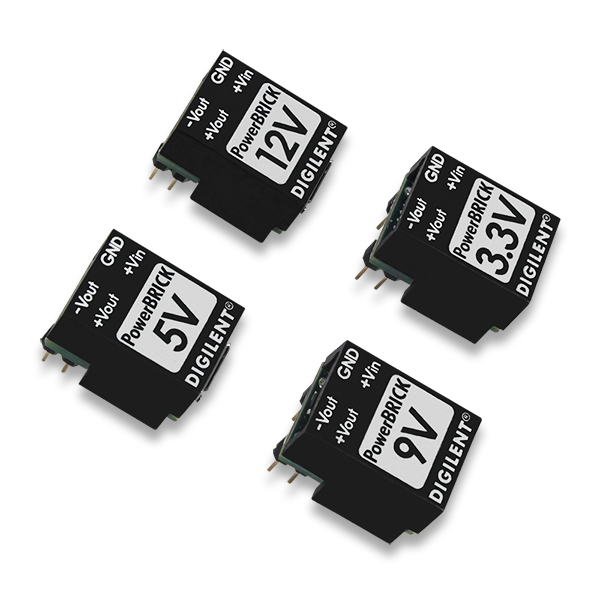 I intended for this device to monitor various voltage levels on an FPGA board with motors, so I would need to be able to take measurements at 3.3V, 5V, and 12V simultaneously. The PowerBRICKS provided me with a perfect way of testing the functionality of my circuit in reading these three voltage levels at the same time. So instead of digging around for pieces that would allow me to hack together various power supplies to my resistor sets, I was able to power everything easily from the USB port on my laptop. This validation step is critical for anyone trying to incorporate analog circuits with a microcontroller or FPGA board to make sure you won’t fry anything. 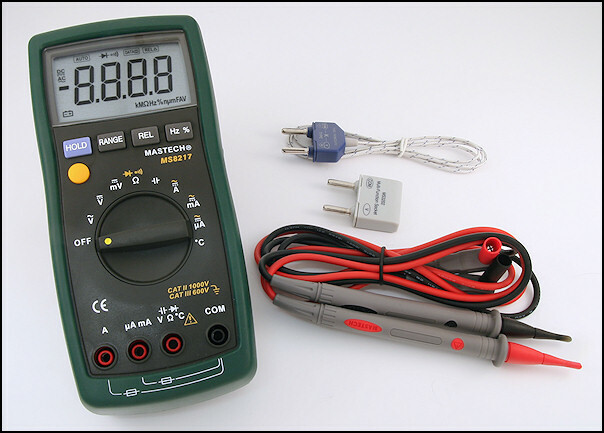 This also allows you a means of determining the accuracy of your voltage calculations after data collection, since you can measure the outputs of each brick easily here with a digital multimeter. And now I can continue with my project, with some data to give confidence that I will (hopefully) not fry my board. So if you find yourself in a position where you need to combine some analog bits with the digital bits of your project, I hope you recall that while steps of design, validation, and testing can be tedious, it can be made quicker and easier when you have the right tool for the job. Previous Article Digilent Design Contest 2017 is On!